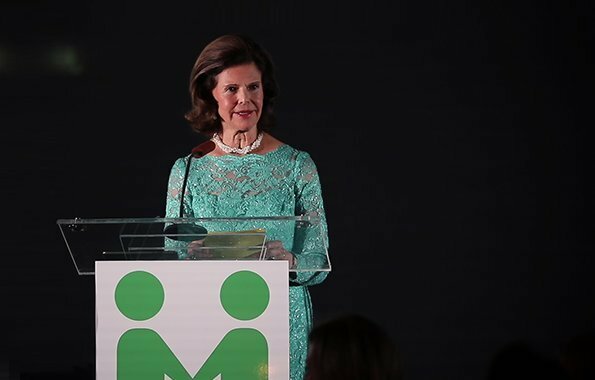 On November 28, 2018, Queen Silvia of Sweden attended ‘In Light of Youth’ Benefit Dinner of Mentor Foundation USA, hosted by H.E. 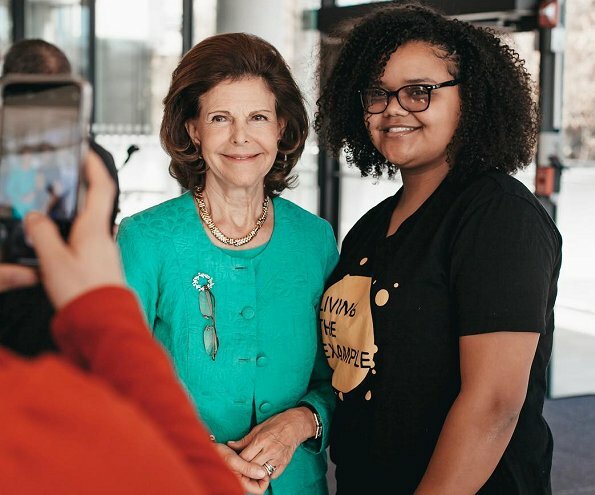 Karin Olofsdotter, Ambassador of Sweden to the United States, at the Embassy of Sweden. 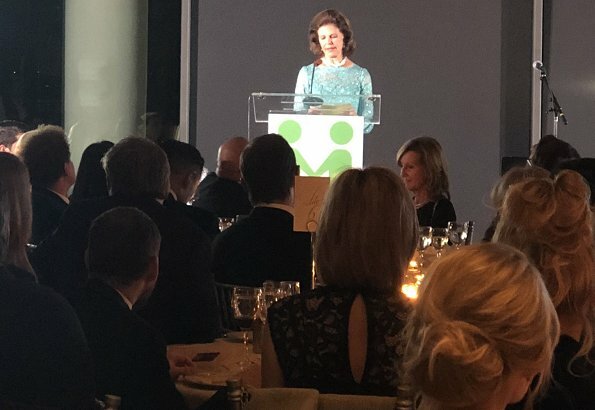 The purpose of the dinner was to raise awareness about the importance of positive youth development and drug prevention, on both a local and global level. Mentor is an organization and foundation which fights against drug use. It was established by the Queen in 1994 together with the World Health Organization (WHO). Today, Mentor exists in Sweden, the Middle East, the United States, South America, Britain, Germany and the Baltic States. At the benefit dinner held at the Swedish Embassy in Washington DC, the Queen met with Swedish Washington Capitals players, Nicklas Bäckström, Christian Djoos and André Burakovsky. 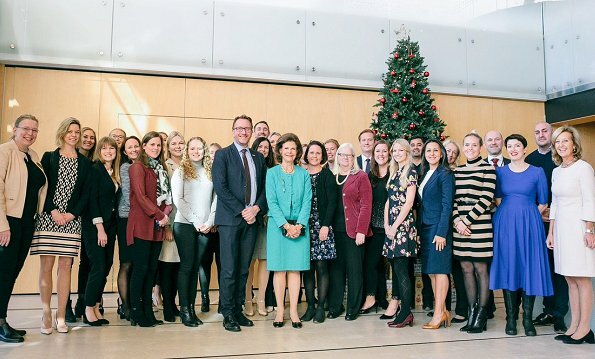 On Thursday, the Queen met with other Mentor USA youth representatives at a meeting at the Swedish House. 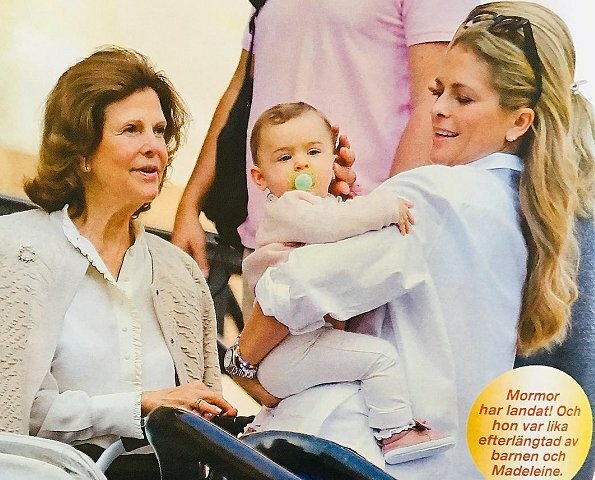 In addition, last week, after the working visit made by King Carl Gustaf and Queen Silvia to USA, King Carl Gustaf returned to Sweden and Queen Silvia went to Miami to meet with her daughter Princess Madeleine and her grandchildren Princess Leonore, Prince Nicolas and Princess Adrienne. J'adore les lunettes accrochées à la broche !! This turquoise-lace-dress is flattering on Queen Silivia. Like the neckline of the dress and both beautiful necklaces. Mother and daughter on the family pics are a wonderful team. Wow, Queen Sylvia looks amazing! It's my boys! My favorite Swedish hockey players! Big Capitals fan. I had looked into getting ticket for this event, but schedule too busy, and it was just too expensive. Go Caps! 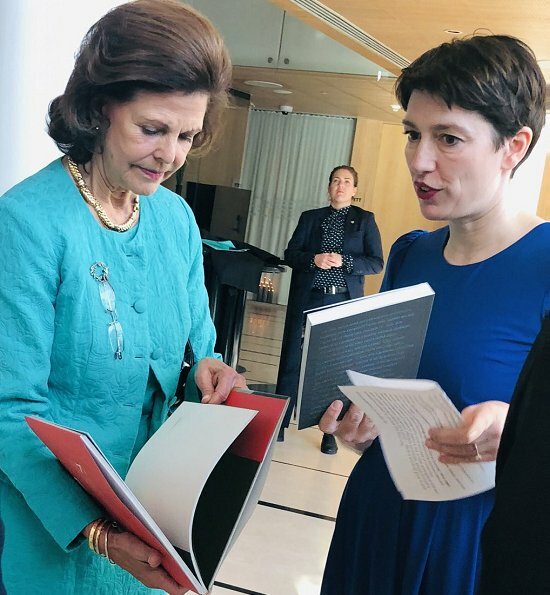 Queen Silvia looks stunning in that aqua lace. Nice makeup and beautiully styled hair -- very regal indeed. Königin Silvia sieht blendend aus. Sie hat das Geschmacksgen - in allen Lebenslagen - schon immer gehabt! Perennial elegance at its best. Look at the way she hangs her glasses. And yes, Madeleine is probably one of the few women in the world who look good while wearing an oversized husband shirt. A very busy Lady. Love the lace dress the pearl necklace is very nice. And she found time to visit her daughter and her family. Adrienne has grown a lot. I like all the outfits on Silvia, and especially the first one. Beautiful colour, elegant and really the look of a queen! The classic lace dress is stunning, and what a gorgeous color. 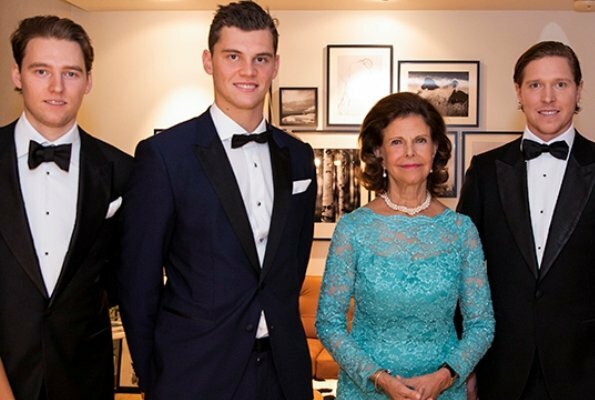 How handsome the young men are in their black tie, and Queen Silvia honors them in turn by looking so stylish and elegant. I have grown sons, and can imagine how proud they would be to be seen with me if I looked like this. I love both turquoise ensambles a lot, such a becoming color to Silvia. Quelle bonne idée! Une broche pour accrocher ses lunettes ! I'm not sure where you are getting your info, however good topic. out. I like what I see so now i'm following you. Look forward to checking out your web page yet again.